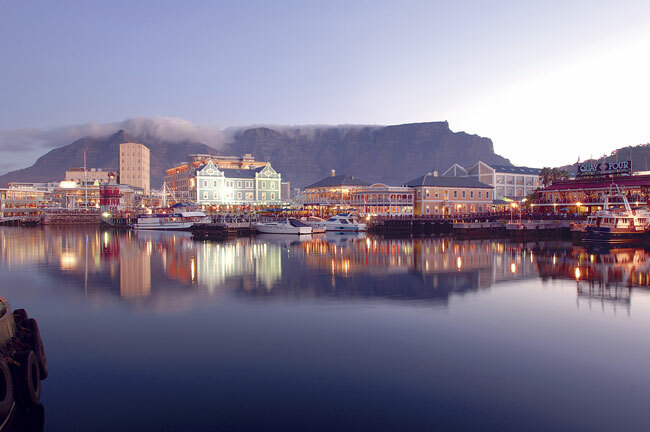 You’re an adventurer at heart who has longed to journey to the continent of your dreams! Just imagining yourself in the presence of a wild, majestic elephant sets your heart racing with excitement. Your heart desires a personal safari of distinction that ticks off all the items on your wish list, a rich adventure that will feed your soul. You dare to do things different and this is that one big bucket list trip that you’re going to claim as your own. You have arrived. Your time is now. Countless hours of research. Endless options. Sound familiar? With such a wide array of fabulous camps and safari destinations, how are you ever going to find those special places and experiences that speak to you? Choosing is as overwhelming as attempting to drink from a fire hose. Safari planning is overwhelming! We appreciate your frustration and confusion and are here to help you plan your custom designed African Safari adventure. Reflecting what we hold most dear, we choose to treat our guests like family. Building a personal relationship with you is an essential step in the journey, as we want to be sure that we truly understand you, in order to create your dream trip. We’d love to meet you over coffee or a glass of wine and if that’s not possible then a Skype call or phone call will be a great place to start. Dan and Ants, we just wanted to say thanks again for making our first trip to Africa a truly memorable one. 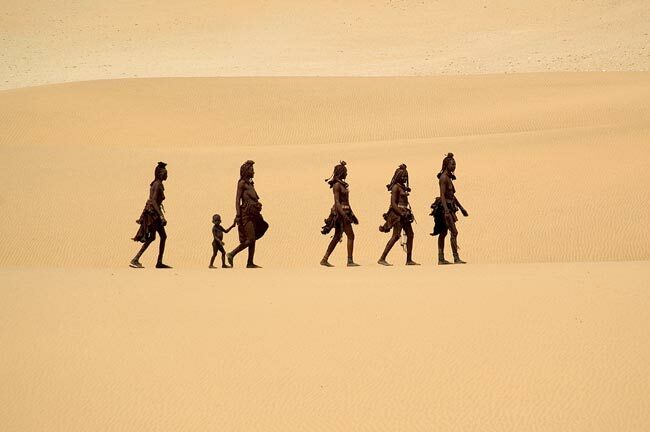 You were great travel companions and ambassadors along the way. We both had a fantastic time and would not have changed a thing. Cape Town was beautiful. We did everything we wanted to do except go shark diving due to water conditions, but in exchange, Jody was over the moon to go to the Cheetah outreach centre. We look forward to planning our next safari for 2017! Oh my gosh this place is beyond gorgeous! We had a fabulous time at Nottens after a fabulous time at Victoria Falls after a fabulous time at Little Mac. Everything was completely perfect with our travel, accommodation and wonderful people everywhere. Thank you for making this happen for us. Thank you so much for everything! We have many envious friends and we tell them all how great Explorations Africa and you and Dan have been to make this trip so stress free and exciting to anticipate! If you are looking for help in booking an amazing African adventure, look no further than Explorations Africa! Dan and Ants are total professionals, they know the tourism industry in Africa!! They can put the trip of a lifetime together for you while putting your mind at ease, answering questions until you are completely satisfied and informed. This was my second time travelling to Africa and I am so thankful that I booked it thru Explorations Africa – every moment was spectacular! From South Africa to Zimbabwe to Mozambique, I could have stayed to explore so many countries!! We specialize in three primary types of Wildlife Safaris: Custom Designed Safaris, Escorted Safaris and Photographic Safaris, with eleven stunning destinations in Africa to choose from. Not sure where you’d like to go yet? Are You Ready to Join Us on Safari Yet? We’ve taken great care to only select the very best safari and travel companies, game lodges, and hotels to work with throughout Africa. We know these companies care about conservation and the communities as deeply as we do, ensuring that no exploitation of people or resources will ever happen. We’ve built strong relationships with so many of our partners and are proud to be associated with them. https://www.explorationsafrica.com/v2/wp-content/uploads/Zimbabwe-Wildlife.jpg 370 833 Explorations Africa https://www.explorationsafrica.com/v2/wp-content/uploads/logo-90-15-btm.png Explorations Africa2019-02-17 23:17:342019-02-18 12:20:00Is Zimbabwe a Safe Destination? Setting a budget for your upcoming safari is not easy but we help you by explaining all the factors and details that should be taken into account when deciding what you are comfortable spending. The location, time of year, comfort levels, travel partners and activities you choose are only some of the factors that should be considered. Africa has two major safari areas namely East and Southern Africa. Both have splendid wildlife offerings but vary greatly in many aspects. 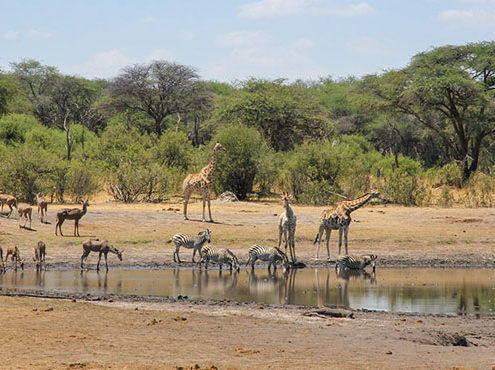 Lets look at all the differences in order to help you make an educated decision about which safari tour may best suit you. 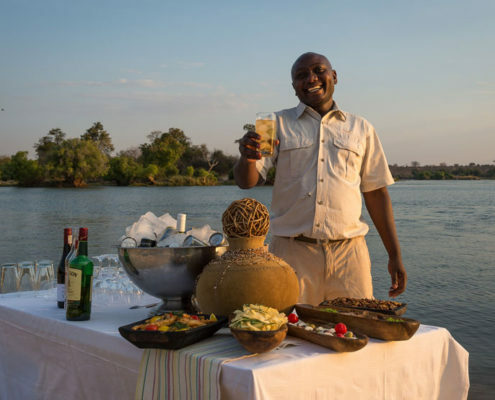 https://www.explorationsafrica.com/v2/wp-content/uploads/A-Warm-Welcome-At-Toka-Leya-Zambia.jpg 554 833 Explorations Africa https://www.explorationsafrica.com/v2/wp-content/uploads/logo-90-15-btm.png Explorations Africa2016-03-01 18:15:052018-11-26 19:14:55Where’s the Best Place to go on Safari? Safari tours to Africa are always an exciting adventure but planning the perfect trip is not that easy. We offer you expert advise and walk you through the questions you need to ask yourself to ensure that trip of a lifetime! 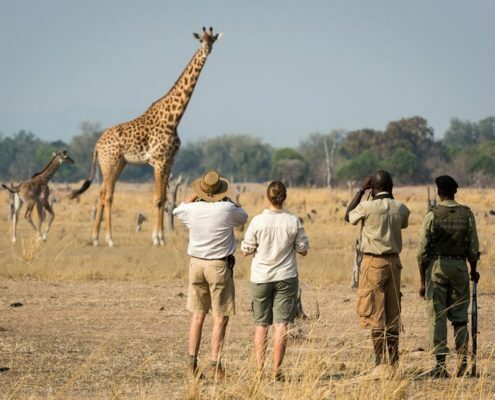 https://www.explorationsafrica.com/v2/wp-content/uploads/Walking-Safari-with-Giraffes-Zambia.jpg 554 833 Explorations Africa https://www.explorationsafrica.com/v2/wp-content/uploads/logo-90-15-btm.png Explorations Africa2015-09-21 19:22:112018-04-24 01:09:01What Do You Want to Experience on Safari? An African wildlife safari in Hwange National Park needs to be on the top of everyone's bucket list and I would love to share with you the many reasons why I feel so passionate about the place. 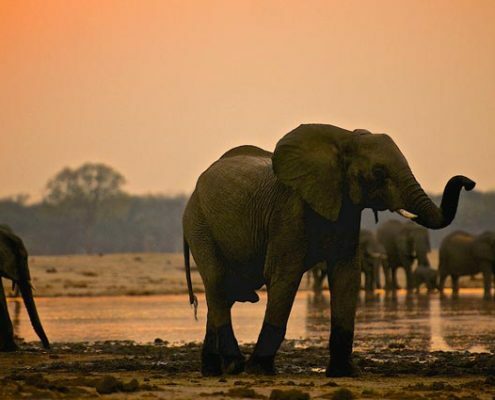 https://www.explorationsafrica.com/v2/wp-content/uploads/Elephants-At-Sunset.jpg 425 833 Explorations Africa https://www.explorationsafrica.com/v2/wp-content/uploads/logo-90-15-btm.png Explorations Africa2015-09-13 01:00:002018-04-24 01:47:54Hwange, a top African wildlife safari destination! Are you thinking of a safari in Victoria Falls, Africa? 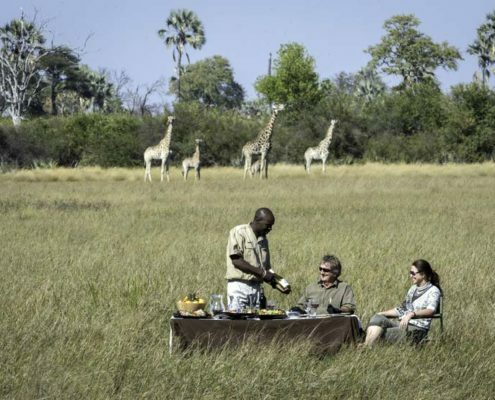 Read our insiders tips to ensuring the best possible experience during your African safari. 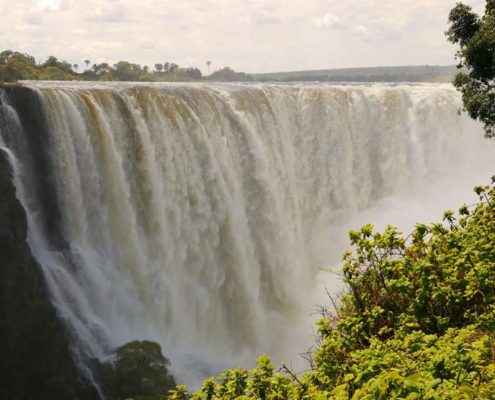 https://www.explorationsafrica.com/v2/wp-content/uploads/The-Spectacular-Victoria-Falls.jpg 555 833 Explorations Africa https://www.explorationsafrica.com/v2/wp-content/uploads/logo-90-15-btm.png Explorations Africa2015-09-02 02:29:032018-04-24 02:30:01Top 5 Tips for the ultimate Victoria Falls experience in Africa!